Taj Mahal which is in Agra is the perfect visit to the ancient Mughal Empire which makes you feel the glory of the once mighty Dynasty in the Indian subcontinent. Tour starts from Delhi in Morning which is the capital of India there will be drive to Agra by private car. 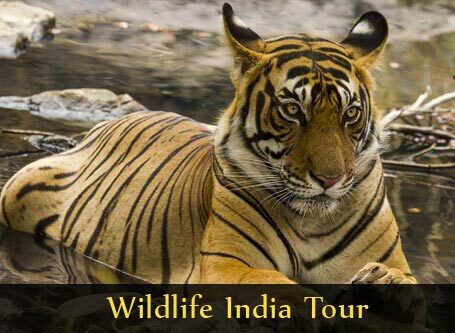 First you will get to discover unique Indian ancient architecture such as the Tomb of Itmad-ud-Daulah (Baby Taj) and the Agra Fort which is a 16th century Mughal monument. 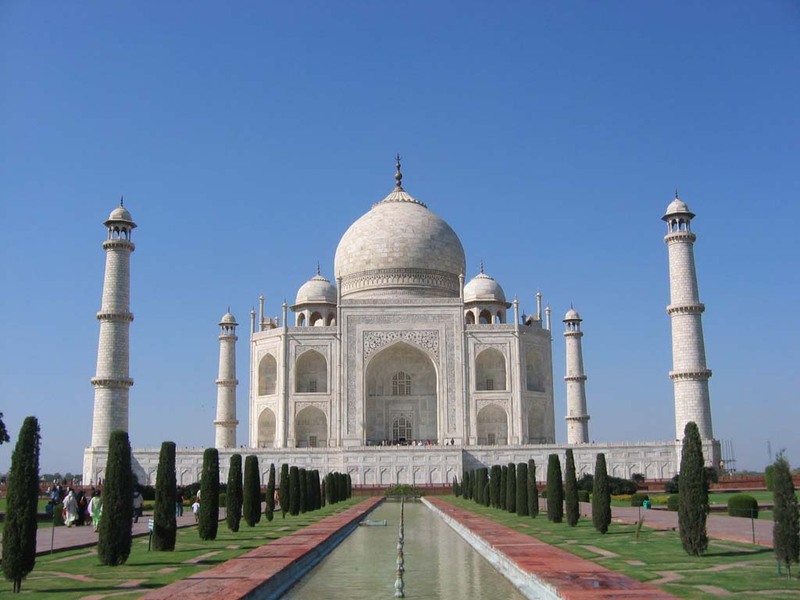 Later you will visit India’s most recognized ancient Monument called the Taj Mahal. A visit to this magnificent architectural grandeur will without doubt leave you fulfilled and amazed with your Indian visit. Later drive back to Delhi. Taj Mahal Agra India You will be received from your Hotel or the Delhi International Airport by our Representative with traditional Namaste and garland. 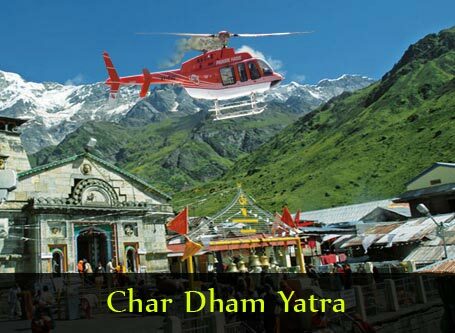 The tour will start from Delhi by private car which takes approx. 04 hour drive till Agra. 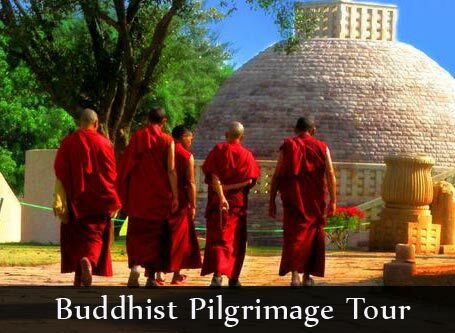 On the way you will explore the Delhi city and the lifestyle of Indian culture. If you want on the way you can stop over for short tea break for relaxation. On reaching Agra the first place that you will get to visit is the Agra Fort which is listed by UNESCO as a world heritage site. 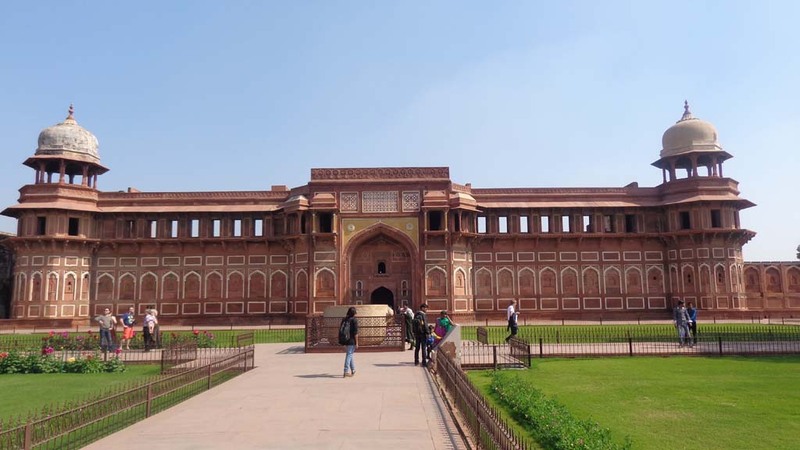 Agra Fort which is situated on a 94-acre (34-hectare) land can be traced back to 1080 AD has survived numerous battles and hence been renovated on many occasions. The fort exhibits both Hindu and Islamic architecture something that you will get to find about as you walk inside it. Some of the interesting parts of the forts that your guide will get to explain to you as you walk inside is the Moti Masjid (Pearl Fort), Diwan-i-Khas (Hall of private audience), Diwan-i-Am (Hall of public audience), Sheesh Mahal (mirror palace) and many other things. Later after visiting Agra fort you will stopover for lunch(by own arrangment) and later we will move forward to the magnificent building that is Taj Mahal sits on a land that is 1,000 acres and visiting it will offer you incredible sights. As your guide will be taking you round the building you will get to discover the building’s unique construction, the intricate exterior and interior decor, its beautifully arranged gardens and the outlying red-sandstone buildings. Emperor Shah Jahan built a white domed marble mausoleum in dedication to his deceased third wife, Mumtaz Mahal, the building fuses Persian, Turkish and Indian architectural designs. 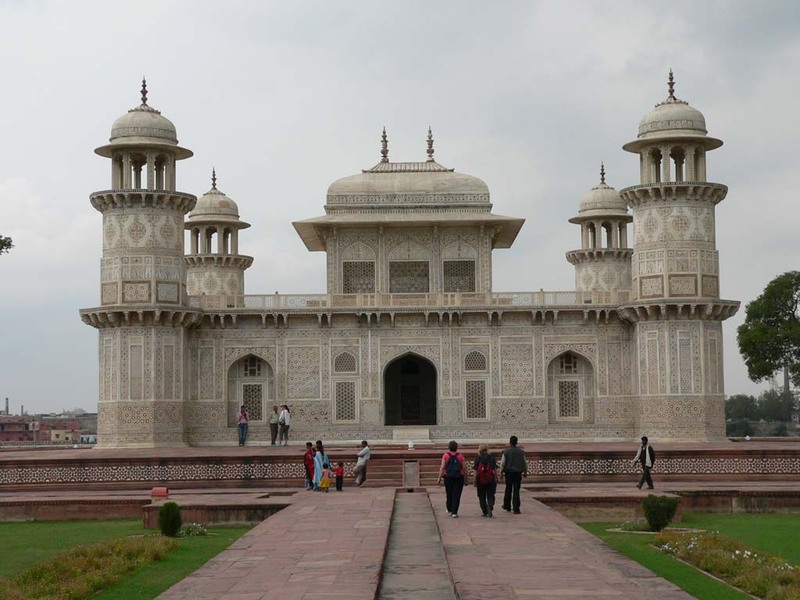 In evening you will wind up your tour by visiting the Tomb of Itmad-ud-Daulah that is situated on the opposite of Taj Mahal and also on the banks of the Yamuna River. 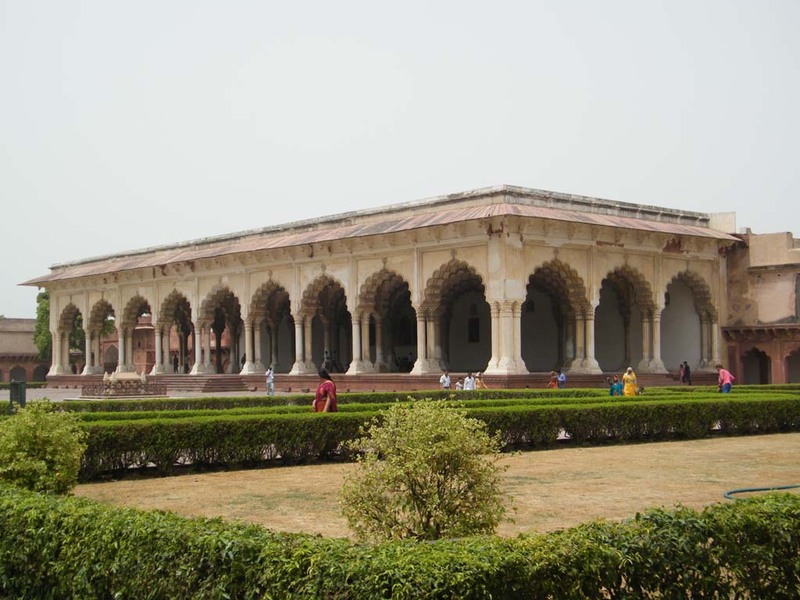 This structure was built by Empress NurJahan in the years 1622 and 1628. The Empress built the structure for her father and the mausoleum has often been described as a Jewel Box. Your guide will help you get a deeper understanding of the monument and off course the Persian influence on the design of the tomb. This tomb remains India’s first ever tomb to be made entirely on marble. In evening you will relax on the seat of the car as you will be driven back to Delhi. On arrival in Delhi as per your choice you will be dropped till the Airport / hotel with the Golden memories of Taj.